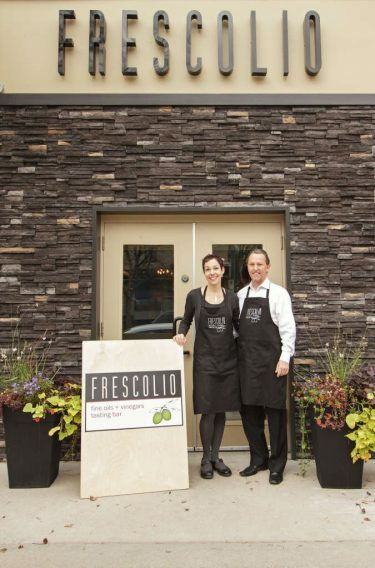 Welcome to Frescolio ─ Winnipeg’s first specialty store that features a wide selection of gourmet-quality extra-virgin olive oils and vinegars in a tasting-bar setting. 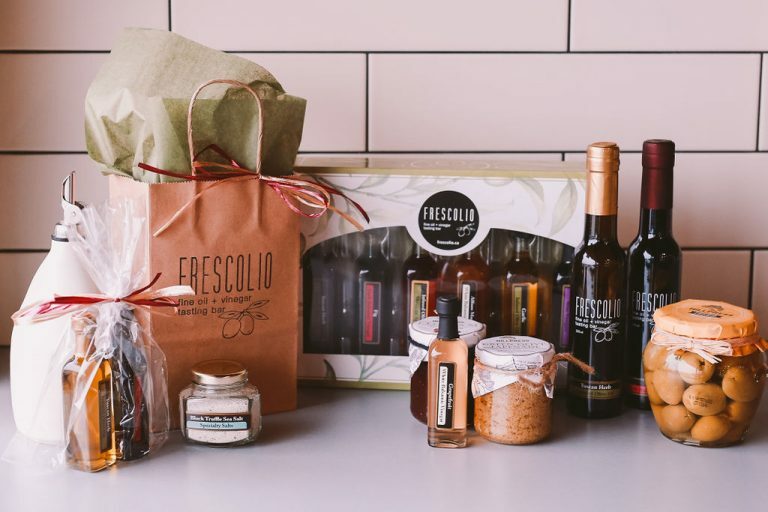 At Frescolio, you will be encouraged to sample as many oils and vinegars as you wish prior to making a decision on what appeals to you most. We first became interested in the concept when we saw a similar store in Chicago in 2009. We were intrigued and impressed by the tasting bar. 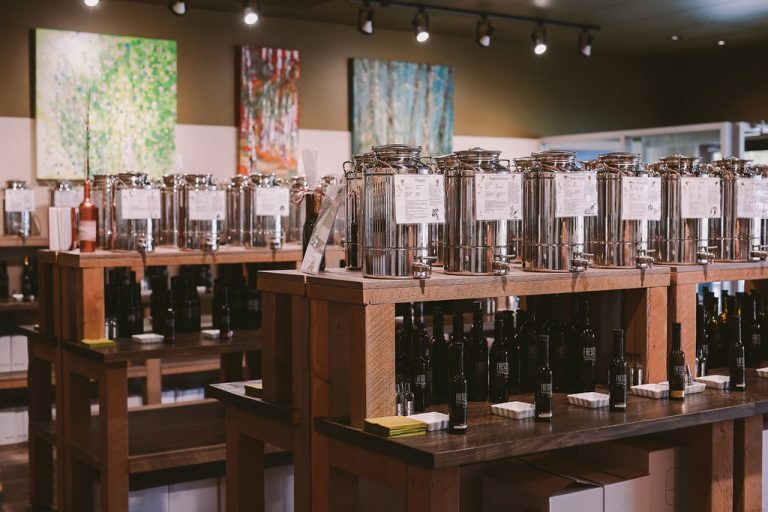 We had never before seen a tasting bar implemented specifically for oils and vinegars. More recently, we visited another store in Ottawa. By then we were hooked by both the tasting-bar approach and the quality of the products available. We were certain that Winnipeg’s ‘foodies’ would enjoy this approach and the superb oils and vinegars as much as we did. How does the tasting bar work? In the store there are more than 60 stainless steel containers (“fustis”), each containing an extra-virgin olive oil or a balsamic vinegar. A description of the contents is posted by each fusti. Stainless steel tasting cups are available for you to sample the oils and vinegars. If you’ve always thought that one olive oil tasted pretty much like the next, as we did at one time, you are in for an extraordinary and delightful surprise. The differences are remarkable. 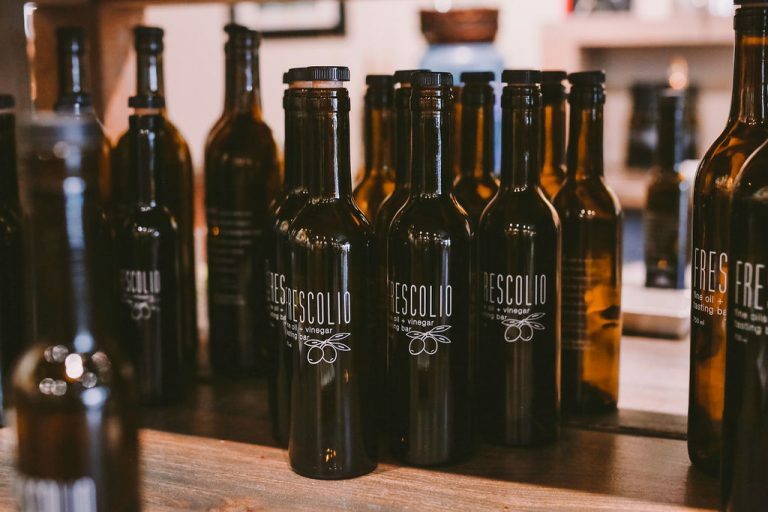 When you purchase oil or vinegar in the store, we transfer the product from the fusti to a Frescolio bottle that is then tightly sealed. This on-site bulk-to-bottle approach is known to be effective in maintaining the product’s freshness. What is “Extra-Virgin” Olive Oil? For an oil to be legitimately called “extra-virgin”, it must meet several international criteria such as means of production, chemical makeup, purity and taste. 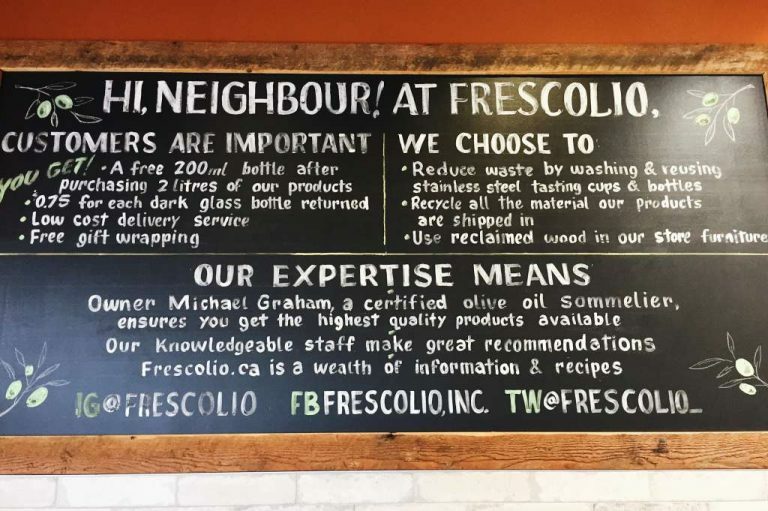 Every oil at Frescolio exceeds these criteria. 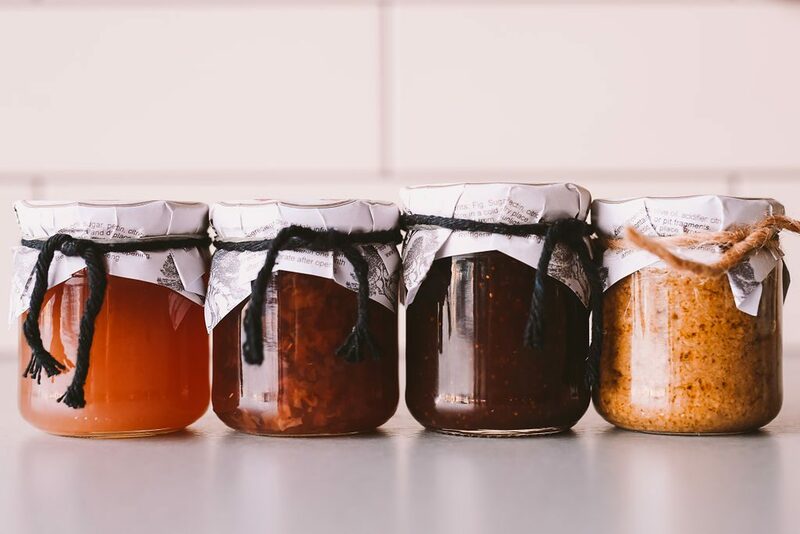 We bring in oils and vinegars from around the world, including Greece, Spain, Australia, Morocco, Chile, and California. In addition to great flavours, extra-virgin olive oils are known for their health benefits; for example, they contain no cholesterol, they have high levels of antioxidants, and they are high in mono-unsaturated fats. What is True Balsamic Vinegar? True balsamic vinegars originate in one of two Italian provinces – Modena and Reggio Emilio. They are aged for up to 18 years before being shipped to be sold. The aging process of the highest-quality balsamic vinegar is done in specific, traditional steps resulting in a superb-tasting product that may be used on its own or paired with an olive oil. What other types of oils and vinegars are available? We carry a variety of specialty oils that are come from sources other than olives, such as almond, sesame, walnut and avocado. These oils may be used for cooking or to add flavour directly to food. We also offer several specialty vinegars, which provide a robust acidity that differs from the balsamics we carry. Currently, we offer a variety of wine vinegars and an apple cider vinegar. 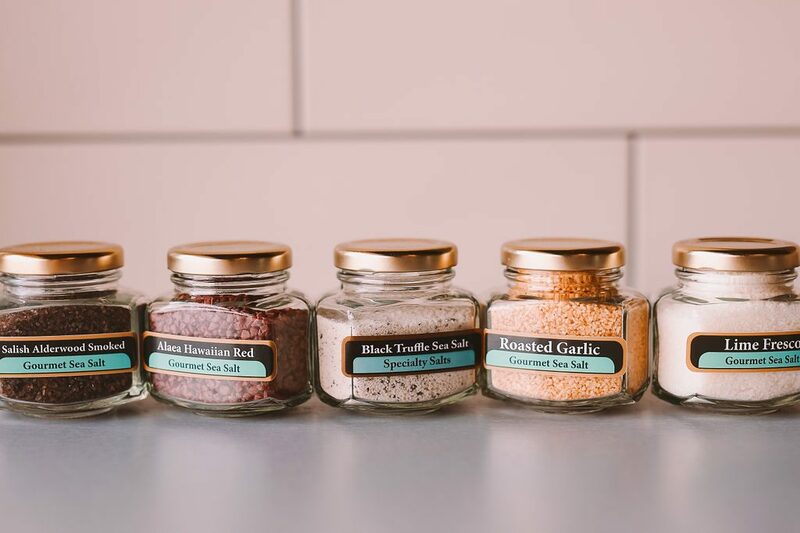 Besides the oils and vinegars in our store, we also offer gourmet olives, specialty salts, jams, Nature’s Farm pasta, Smak Dab mustard and rubs from Metropolitan Chef. We’re proud to carry Lot. 15’s custom made ceramic bottles. Lot.15 is the brain child of former Mud & Stone co-owner, Lynne Mulvihill. She is an amazing potter and it really shows with her unique designs and colour combinations. As well, we also carry beautiful wooden cheeseboards by Dennis Graham, owner of dj Graham Woodworks. Dennis is the brother of Frescolio owner Michael Graham, and we are excited to showcase his gorgeous pieces. We also offer cookbooks by Emily Lycopolus, which feature creative and inspired ways to use the oils and vinegars in our store. We are honoured to support three local artists at our Frescolio locations. At our Corydon location, we are excited to have Franklin Fernando’s gorgeous paintings on display. You are sure to recognise some local landmarks in his standout pieces. He has a beautiful eye when it comes to catching the feel of Manitoba! At our St Mary’s location, we are thrilled to have Barb McCluskey’s amazing paintings on display. Barb’s beautiful use of colour and texture will make you want to take one of her masterpieces home! Her nature scenes are particular stand outs for us. At our Regent store, we are so happy to feature Kathleen Crosby’s beautiful work. Her use of bright colour and movement make this tiny store seem bigger, and she captures the stunning skies of the prairies in a special way. Thank you for your interest in Frescolio. We look forward to greeting you in the store.